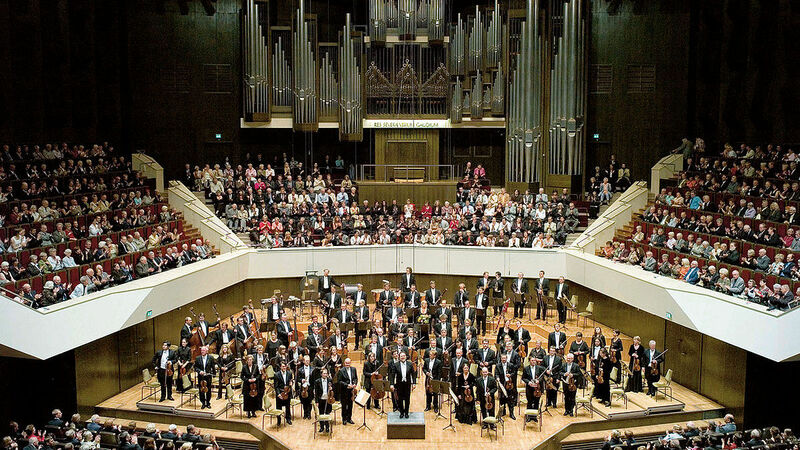 One of the world’s oldest and most eminent orchestras is turning 275. Leipzig’s Gewandhaus Orchestra kicked off a four week-long festival yesterday, commemorating the anniversary of its founding by the city’s nobility in 1743. Additionally, the festival celebrates the inauguration of Music Director Andris Nelsons. (The Latvian conductor is also currently Music Director of the Boston Symphony). Nelson’s recent predecessors include Riccardo Chailly, Herbert Blomstedt, and Kurt Masur. Bruno Walter and Wilhelm Furtwängler occupied the post prior to the Second World War. Felix Mendelssohn led the orchestra between 1835 and 1847, premiering Schubert’s Ninth Symphony and Schumann’s Symphonies among other notable works. Nelsons and the Gewandhaus Orchestra have released an exciting new Deutsche Grammophon album featuring Bruckner’s Fourth Symphony and Wagner’s Prelude to the First Act of Lohengrin. This is the latest installment in a cycle of Bruckner recordings. (Nelsons and the Gewandhaus have already released the Third Symphony, and the Seventh comes out on April 6). We’ll dig deeper into Bruckner’s monumental Fourth Symphony in a future post. For now, let’s listen to two excerpts from this live concert recording- the Symphony’s first and third movements. The opening of the first movement emerges out of silence. We don’t “hear” the exact moment it begins. Instead, it materializes as a sudden, haunting presence. This barely-audible rumble of vibration opens the door to the plaintive, heroic horn call which forms the seed for the entire symphony. The modern horn is a descendent of ancient hunting horns. We hear echoes of a distant, far-off medieval hunting party, and the murmurs of the forest, in the Fourth Symphony’s Scherzo. I am not allowed to see this recording here in Denmark. this is one of the countries being omitted permission why ? This happens occasionally in certain countries. I’m not sure why they get blocked. Hopefully, you can find these recordings elsewhere, or access them through the iTunes links I provided.